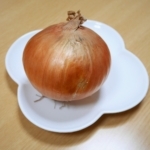 This Japanese homemade dish is recommended for your Halloween party tonight. 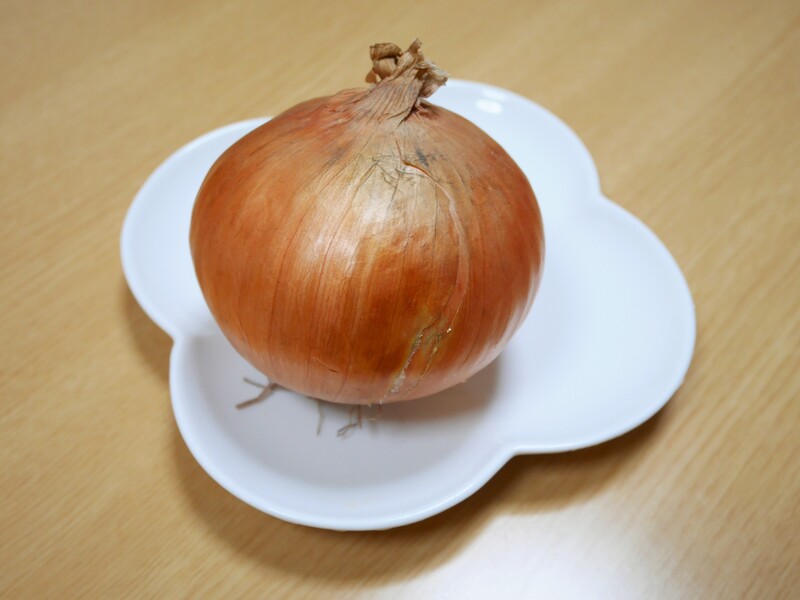 It’s so easy to cook even if you are not good at cooking. 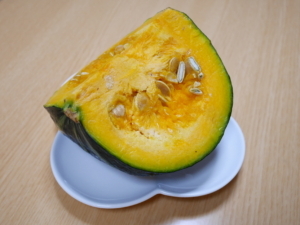 You can enjoy soft and flaky texture & natural flavor of Kabocha squash. 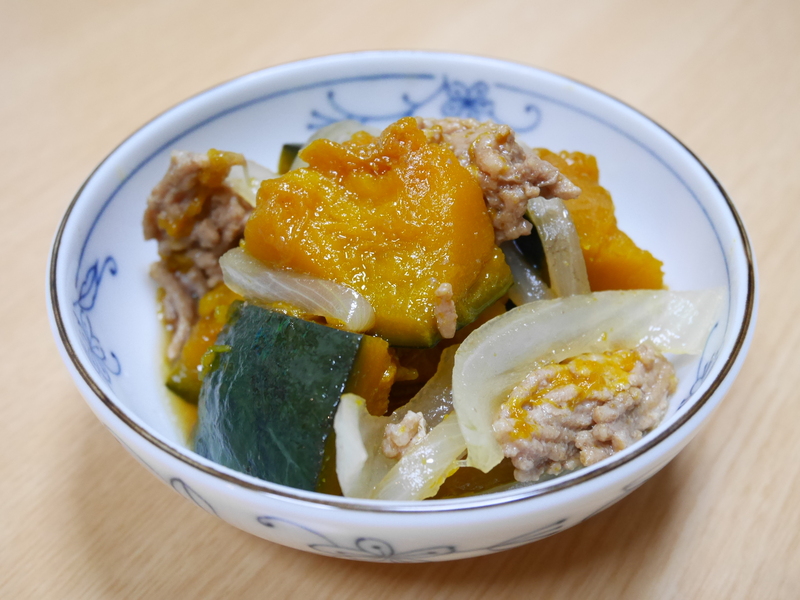 How to cook “Kabocha no Nimono”? 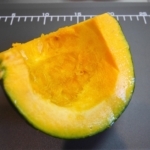 Scoop out of the Kabocha guts and wash it with water. Cut it into bite size or a little bigger. 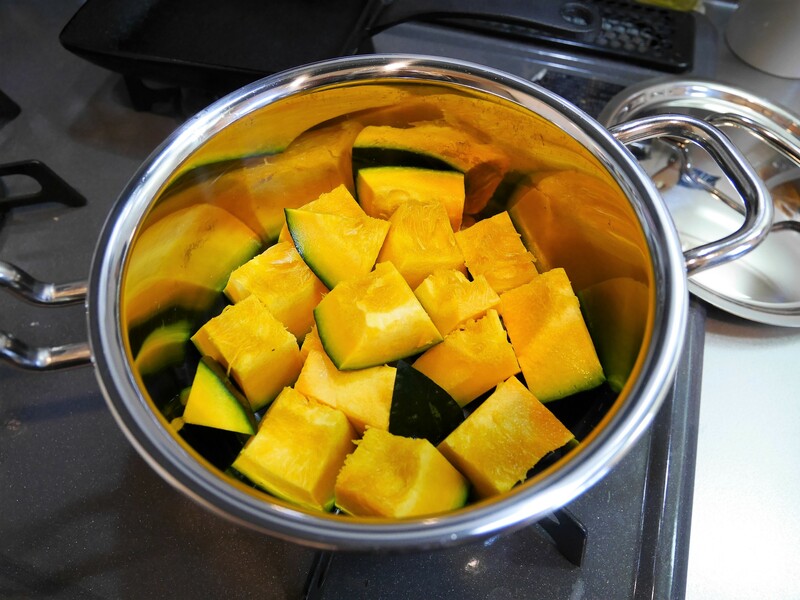 Put Kabocha squash into a pan with the skin side down. 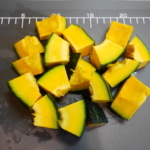 Make sure that the pieces of Kabocha squash doesn’t overlap each other. 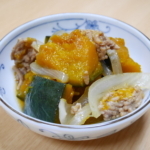 Cover the Kabocha squash with “otoshi-buta” and simmer them on medium heat. 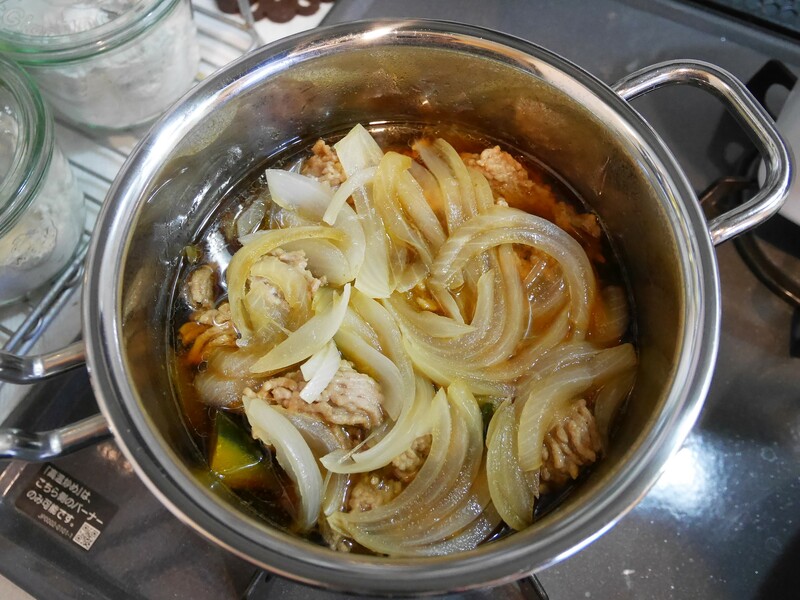 When it comes to boil, turn the heat to low and simmer until it becomes tender. 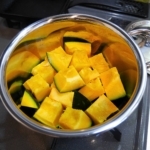 Leave it for a while to make Kabocha squash soak up the seasonings, if you have time. 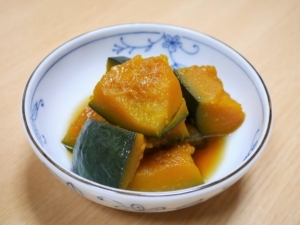 You can use butter cup instead of Kabocha squash. 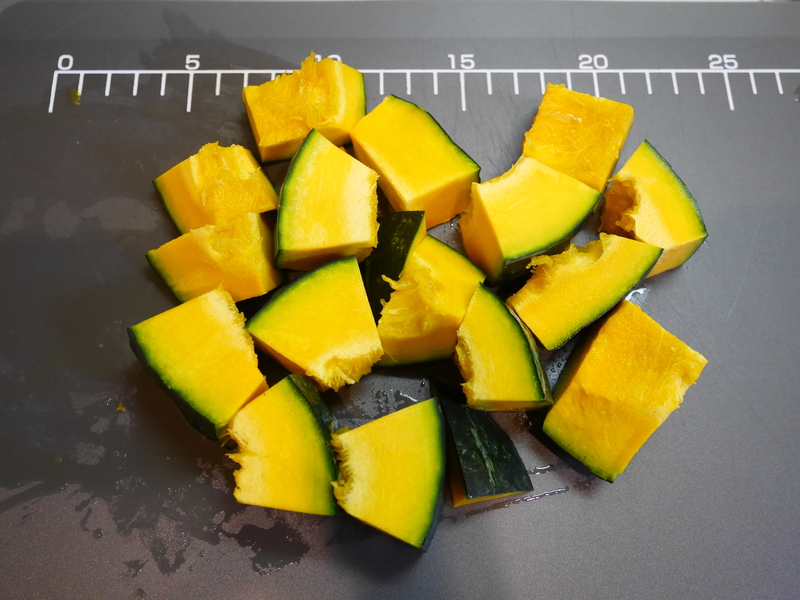 Be careful when you cut Kabocha squash because it is so hard. Make sure it is stable on the cutting board. 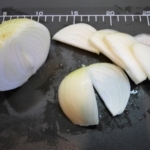 It is easier if you cut it at a slant with a knife. 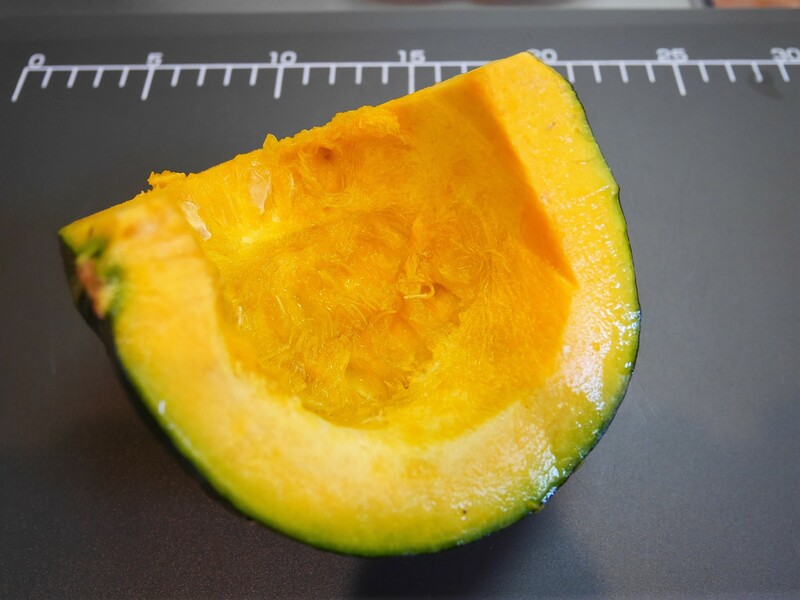 You can peel Kabocha squash if you don’t like the texture of skin. Also, if you peel several parts of the skin, it helps to soak up the seasonings. Cook down the juices until reduced by 1/3. It’s done when the bamboo skewer (or a folk) go through easily. 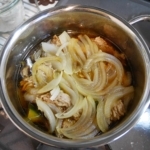 “Nimono” (simmered dish) is generally soaks up the seasonings well while it is getting cold. 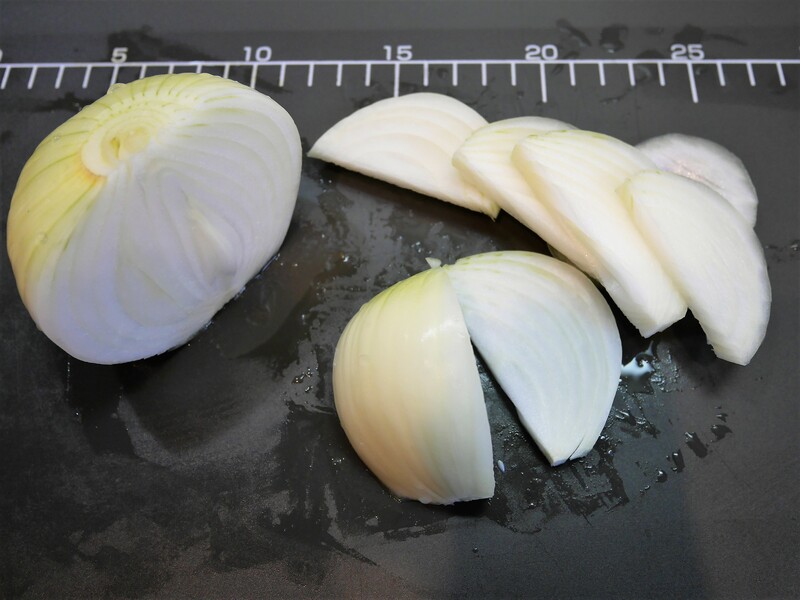 Add some ingredients below before you heat the pan. It’ll be more delicious and looks good!